The game runs on the WebGL technology which lets users view 3D web graphics without the need to download extra software. Coming out next month, the game is similar to the old arcade classic Marble Madness, and involves moving a ball around the city streets and scoring points when its rolled over certain locations. 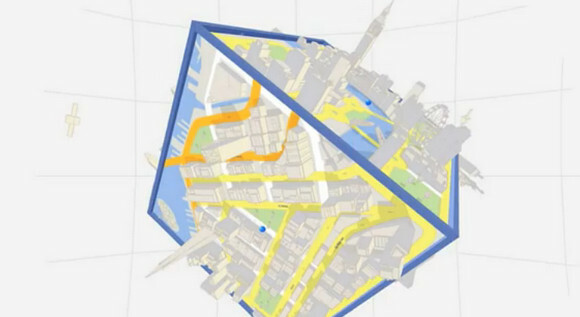 Locations are switched via a 3D cube interface, with a different city on each side. In the video demo, points are notably dished out when the ball rolls over Zagat-rated venues, the local reviews site that Google bought up last September. Moving forward, Zagat will be a cornerstone of our local offering — delighting people with their impressive array of reviews, ratings and insights, while enabling people everywhere to find extraordinary (and ordinary) experiences around the corner and around the world. With social gaming forming a big part of Facebook’s successful strategy, it’ll be interesting to see what future plans are afoot for Google+ as the search giant tries to challenge their total dominance of the social networking landscape.